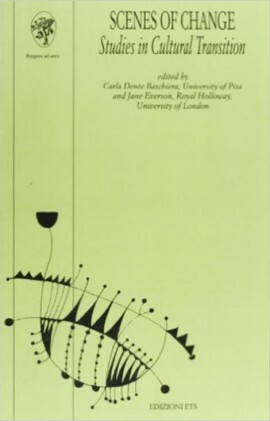 ‘The effects of the shifts in fashions of thought and the current of ideas accepted and promoted by society, are examined in the studies of Hindle and Pacinotti. In both cases the transition from one dominant pattern of thought to another and even to an opposing one, is expressed through the transformation of a genre into something new and distinct. Hindle takes that moment of change and crisis already noted, the turn of the eighteenth to nineteenth centuries, when the ideas explored by the Enlightenment based on the rational and focusing on man in society were giving way to Romanticism and its insistence on the individual. But this transition, as his discussion of the work of William Godwin shows, was also the time when the impact of the French Revolution, of equality and fraternity, of the rights of man, were taking root, to some extent continuing and transforming cultural perceptions of society against the literary ideas of Romanticism. The complexities of Godwin’s ideas of history and romance, fact and fiction, provide an early exploration of the novel as a tool for revealing the oppression of a class of society, a sense of crisis for the individual and in society that may reside even in the everyday, the mundane and the domestic arenas’ (p.28).